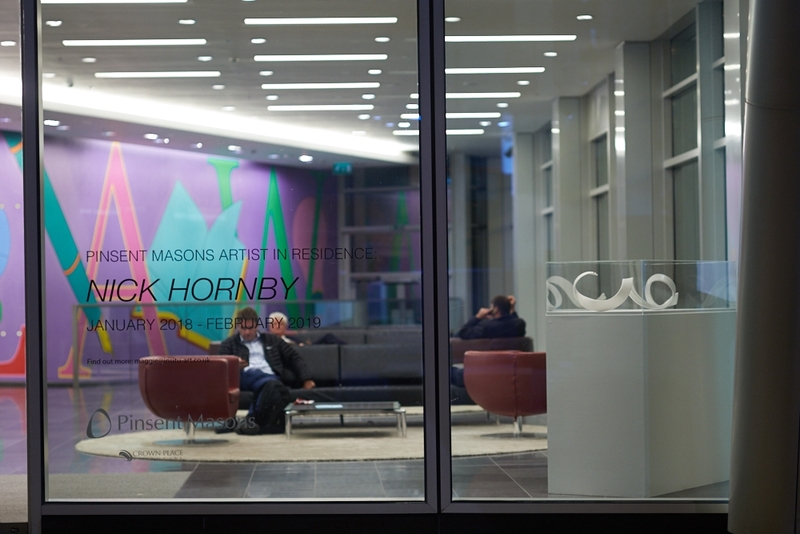 Pinsent Masons is delighted to announce an exhibition of sculptural work curated by the fourth Artist in Residence, Nick Hornby. 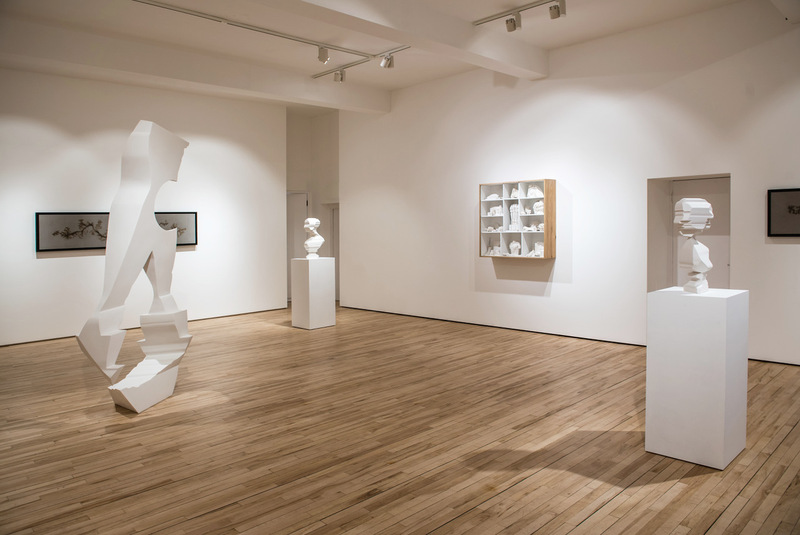 The exhibition features work by key Modernist sculptors: Arthur Fleischmann (1896 – 1990), Henry Moore (1898 – 1986), and Eduardo Paolozzi (1924 – 2005) alongside that of contemporary artists Oliver Beer, Nick Hornby, Alex Massouras and Zuza Mengham. 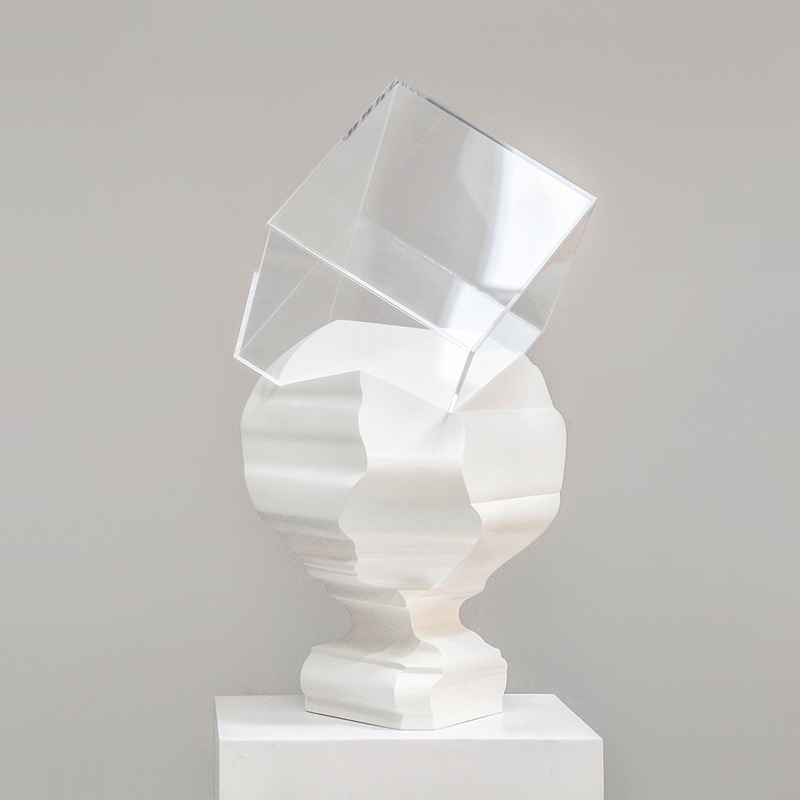 Three young contemporary sculptors show for the first time with Beaux Arts London in their upcoming mixed exhibition ‘Sculpture: Modern and Contemporary’ alongside some of the most significant artists from the twentieth century and other established contemporary artists. Flowers Gallery is pleased to announce the opening of the 36th edition of the annual Small is Beautiful exhibition. On display will be works by more than 100 selected artists, each measuring no more than 7 x 9in (18 x 23cm). 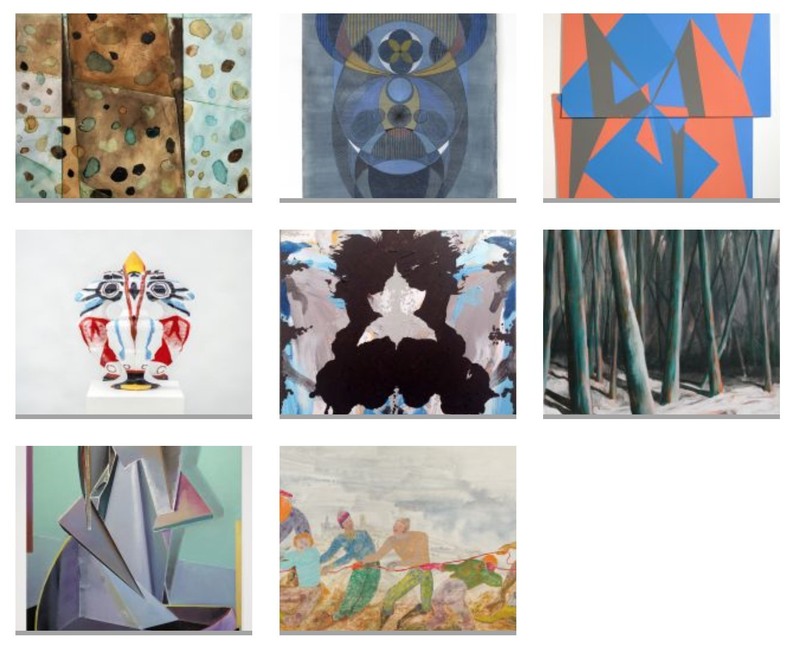 A rare opportunity to purchase small scale pieces by many well-known artists and new talents working across a range of media. Works from Small is Beautiful will be available to purchase from Flowers Gallery’s online store. On the cover of my copy of the publication that contains Loos's essay, there is a portrait, in profile form, of Loos himself. Looking at his profile – I noticed some similarity between the curves of his nose, the acute shape of his lips and dome of his forehead, and the shapes of Victorian ornamentation. 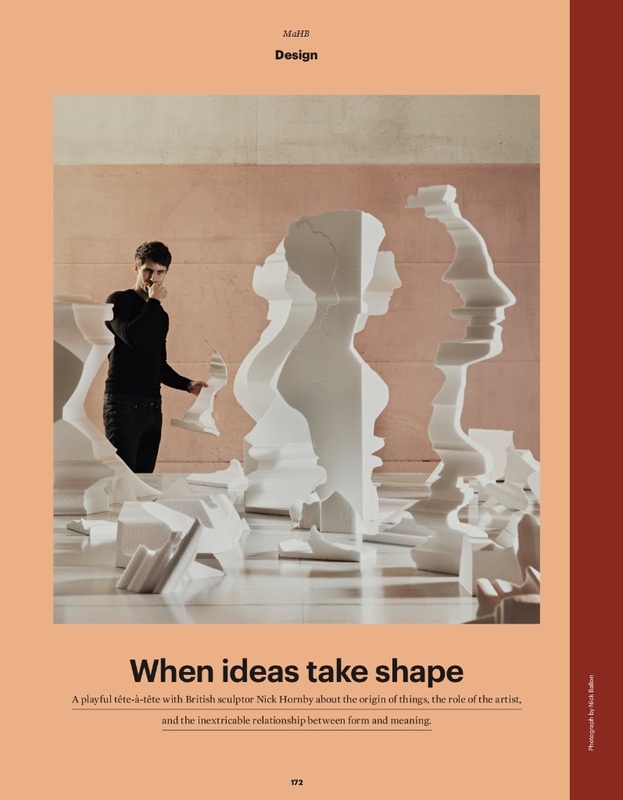 Throughout Architectural history, theorists have argued in favour and against whether good design is linked to the proportions of the human figure. A famous example is The Vitrubian Man. Its likely you’ve seen the iconic image Leonardo da Vinci made of a man with his arms and legs spread out contained within a circle and a square. Returning to Adolf Loos - I decided to steal his profile and used it to fashion a router bit. A router is the tool - a spinning shaped blade that is used to carve decorative features of Victorian furniture. There are many standard types which have evolved. 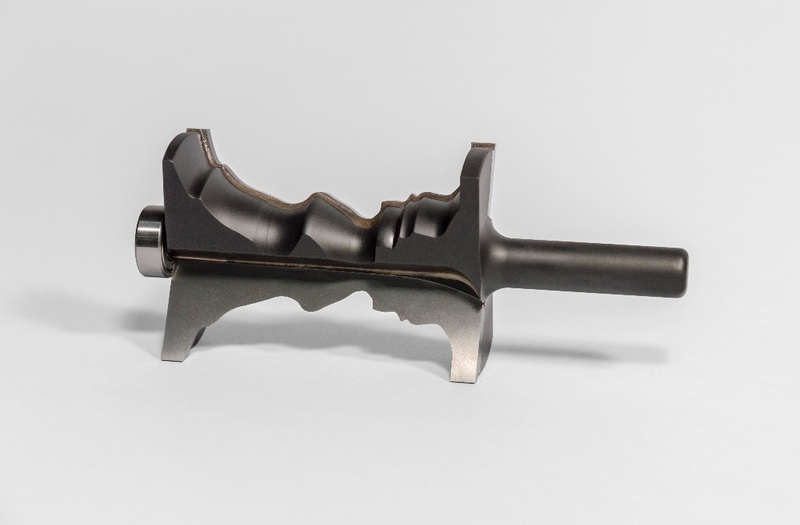 This router bit is a tool and a sculpture. 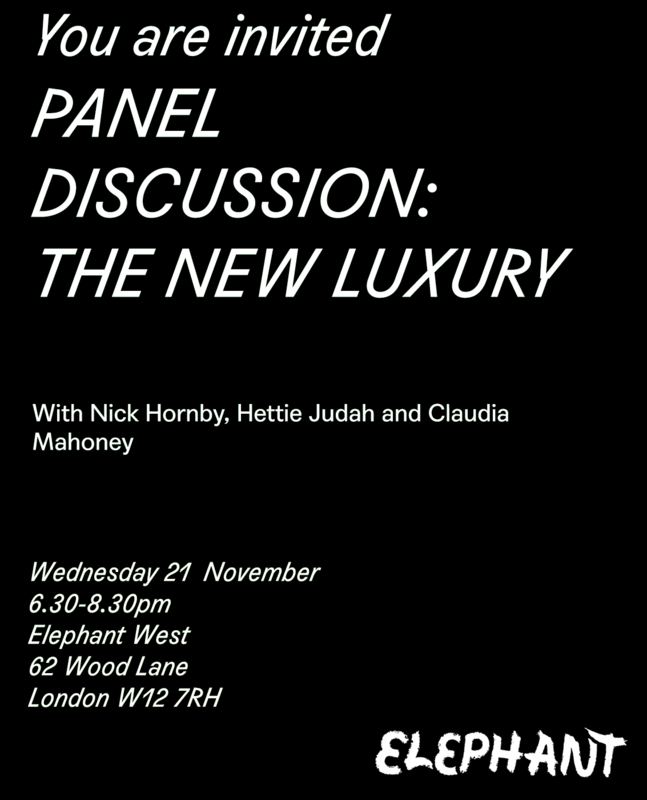 PANEL TALK: "The New Luxury" Speakers: Emily Steer, Nick Hornby, Hettie Judah, Claudia Mahoney. The concept of luxury is ever changing—from era to era, and from person to person. For some, luxury exists in material form, as something to desire and long for, while for others it is more intangible, the attainment of time, space, peace and quiet. Moderated by Emily Steer the panel features artist Nick Hornby, writer and art critic Hettie Judah, and Head of Content at The Outnet Claudia Mahoney. 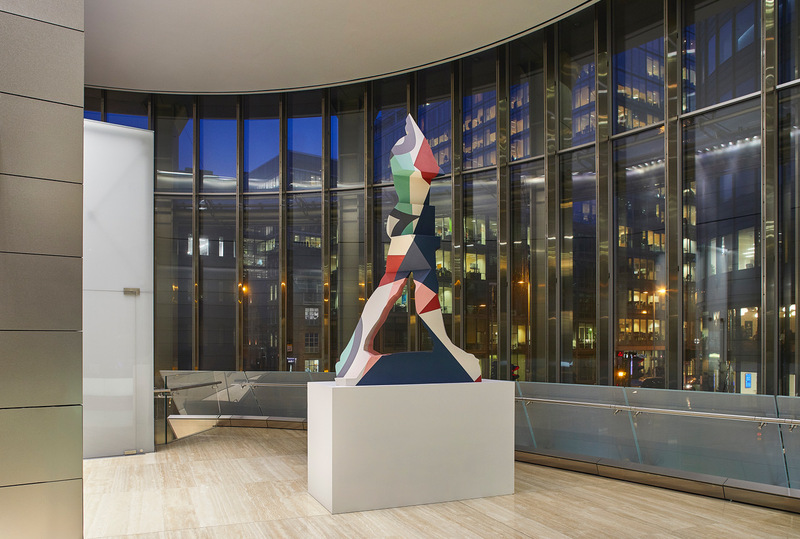 Sculptor Nick Hornby shares his vision behind the hanging sculpture he has created for 5 Carlos Place. 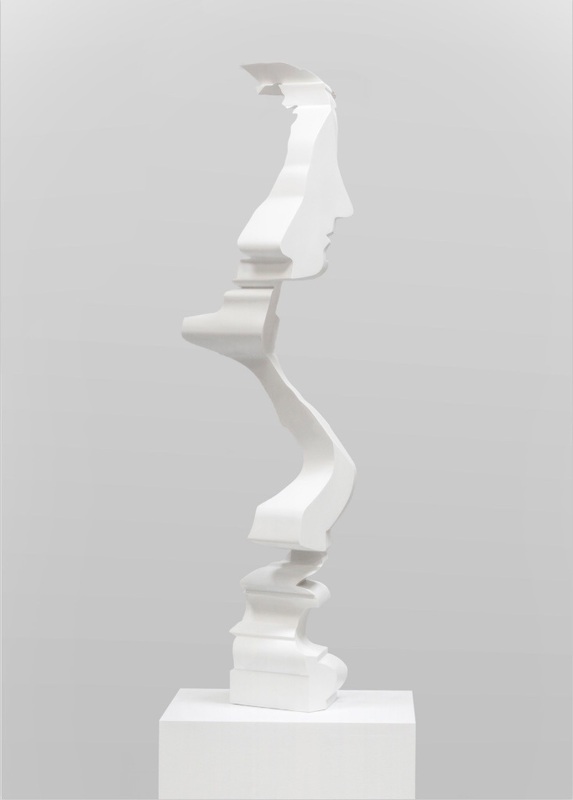 Suspended from the ceiling above a staircase, the piece – a profile of Michelangelo’s David extruded at an exceptionally oblique angle – allows for different perspectives depending where the viewer is stood, made even more formidable by the juxtaposition of the stairway’s light. 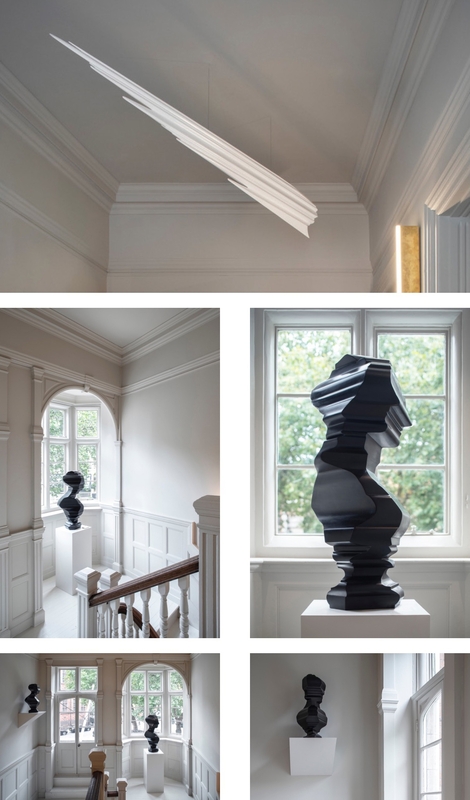 Suspended from the ceiling above a staircase, the piece – a profile of Michelangelo’s David extruded at an exceptionally oblique angle – allows for different perspectives depending where the viewer is stood, made even more formidable by the juxtaposition of the stairway’s light. "The 7,000-square-foot Carlos Place isn’t just a shop (Matches already has four of those). Kicking off with a launch party hosted by Prada, the building will house more than 40 events in its opening months, including supper clubs, dance sessions and floristry classes. 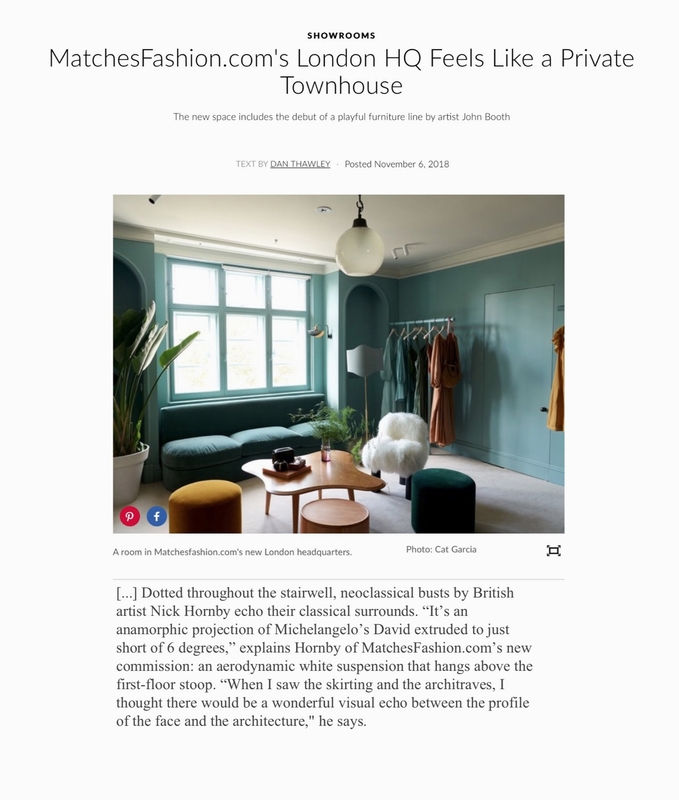 Celebrities and designers will also be invited to record podcasts in Matches own in-house broadcasting studio, while other guests may stop by to see the sculpture Matches commissioned from acclaimed British artist Nick Hornby, Matches Chief Brand Officer Jess Christie, told Forbes." 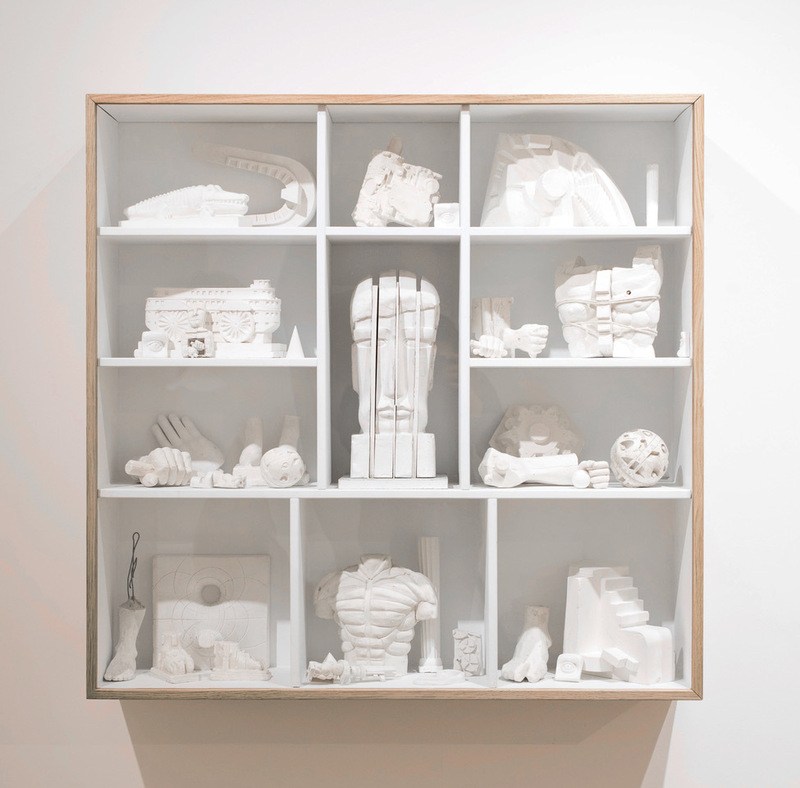 Romain Bernini | Liselotte Höhs | Nick Hornby | Genti Korini | Marcelo Moscheta | Lisi Raskin | Roee Rosen | Marta Sforni | Veronica Smirnoff | Johanna Unzueta | Gal Weinstein. 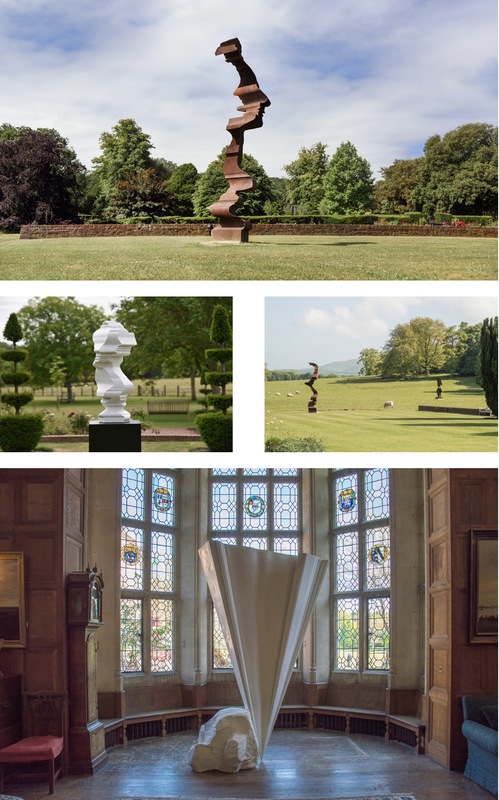 Cure3 (Cure Cubed) 2018 is the 2nd edition of the acclaimed selling exhibition devised by Artwise in partnership with Bonhams to raise awareness and funds for The Cure Parkinson’s Trust (CPT). 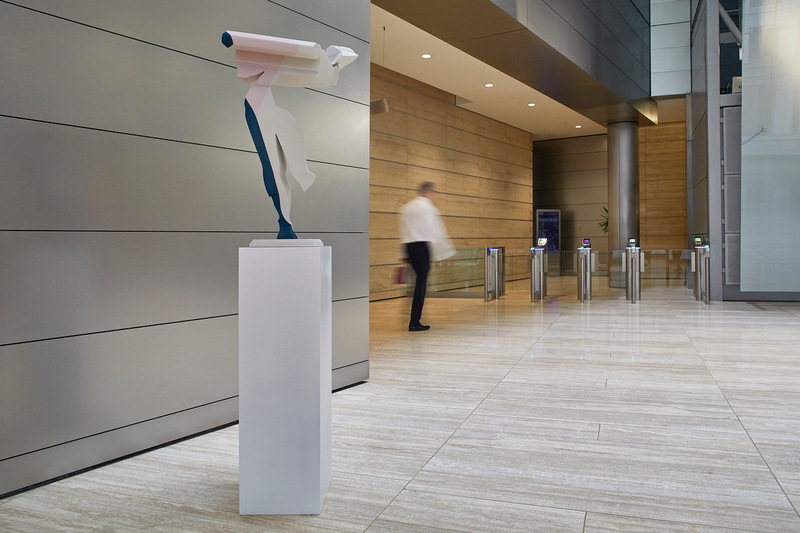 Featuring original commissions by more than 80 international artists and architects, Cure3 is an opportunity to buy covetable art whilst supporting the vital work of The Trust. 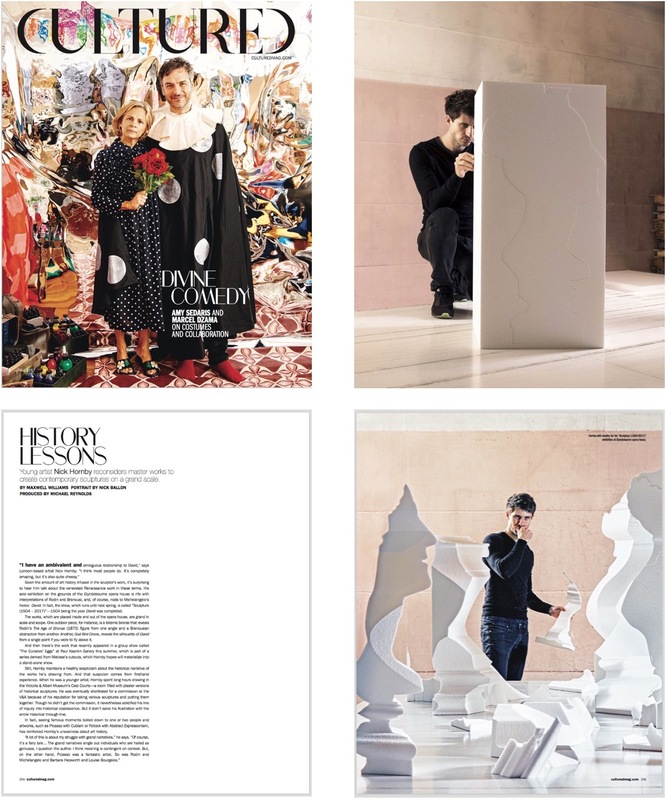 Alice Anderson, Ron Arad, Miranda Argyle, Barnaby Barford, Rana Begum, Tony Bevan, Peter Blake, Rob and Nick Carter, Daniel Chadwick, Jake & Dinos Chapman, Gordon Cheung, Mat Collishaw, Adam Dant, Pablo de Laborde Lascaris, Adeline de Monseignat, Bouke de Vries, Edmund de Waal, Diana Edmunds, Abigail Fallis, Knopp Ferro, Laura Ford, Ryan Gander, Andy Goldsworthy, Lothar Götz, Elpida Hadzi-Vasileva, Hassan Hajjaj, Nigel Hall, Alex Hartley, Carmen Herrera, Nick Hornby, Paul Huxley, Alison Jackson, Vanessa Jackson, Tess Jaray, Ben Johnson, Anish Kapoor, Idris Khan, Phillip King, Helen Kirwan-Taylor, Tania Kovats, Brigitte Kowanz, Chris Levine, Andrew Logan, Andrew McIntosh (Mackie), Susie MacMurray, Elizabeth Magill, John Maine, Helen Marten, Harland Miller, Claire Morgan, Mariko Mori, Annie Morris, Humphrey Ocean, Angela Palmer, Florence Peake, Simon Periton, Julian Perry, Thomas J Price, Stephanie Quayle, Saad Qureshi, Danny Rolph, Andrew Sabin, Nina Saunders, Conrad Shawcross, Anj Smith, Dillwyn Smith, Amy Stephens, Sinta Tantra, Troika, Gavin Turk, Charlotte Verity, and Jonathan Yeo. 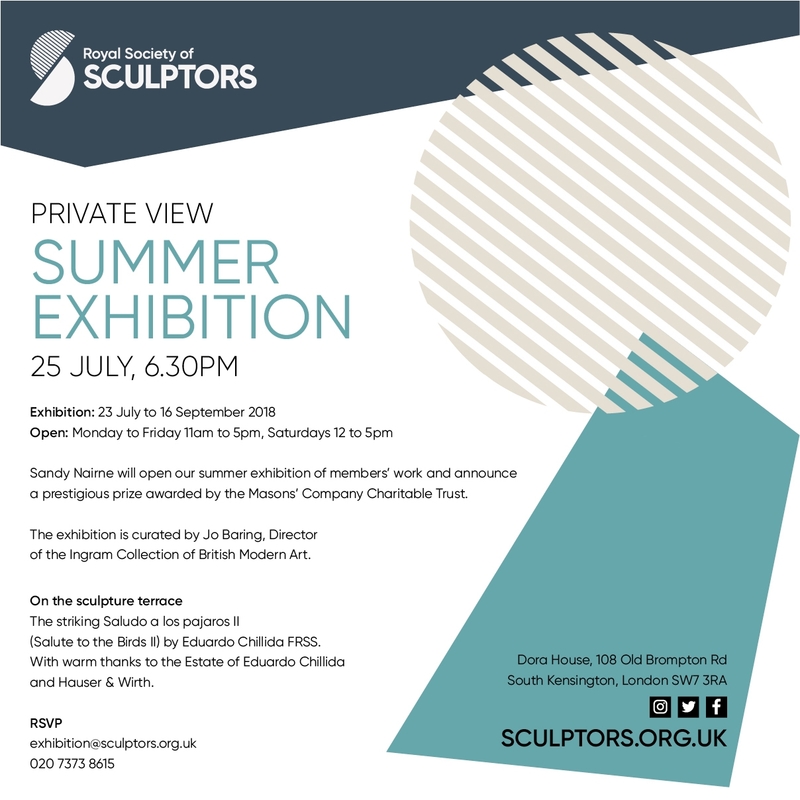 Come and explore sculptor and its many possibilities at the Royal Society of Sculptors in South Kensington. 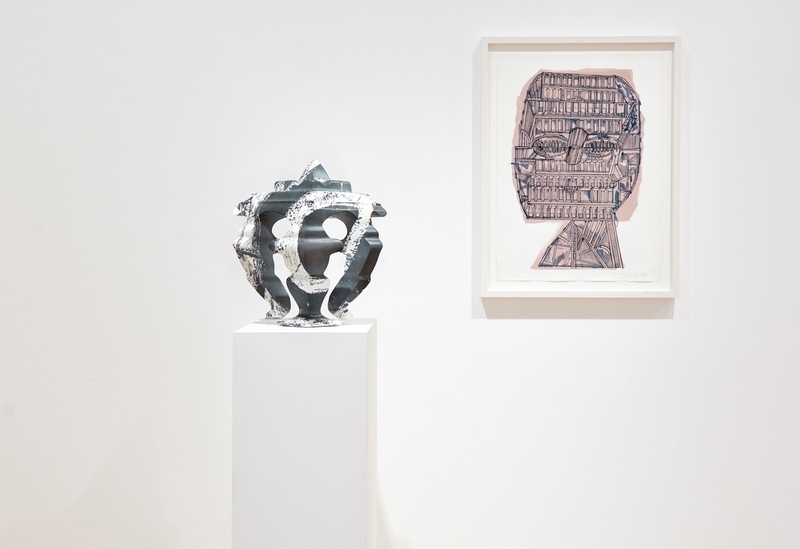 The exhibition is curated by Jo Baring, Director of the Ingram Collection of British Modern Art. 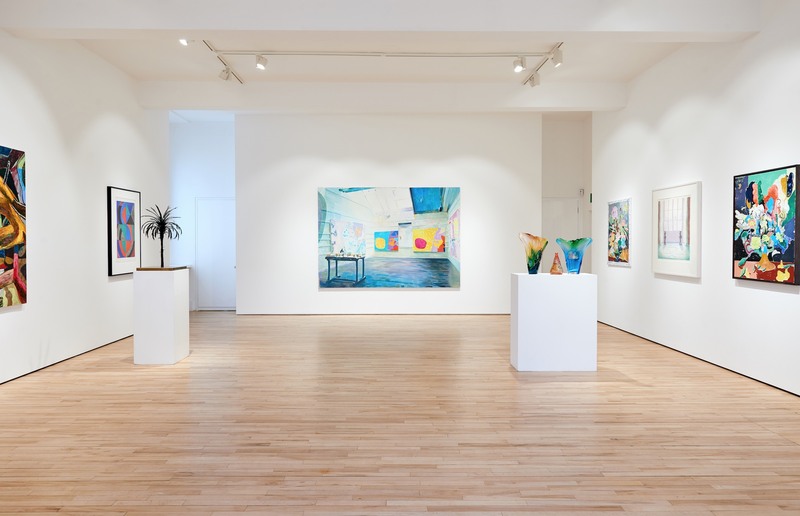 Frestonian Gallery is delighted to present ‘Year One’ - a show featuring works by every artist exhibited at the gallery in its inaugural year. 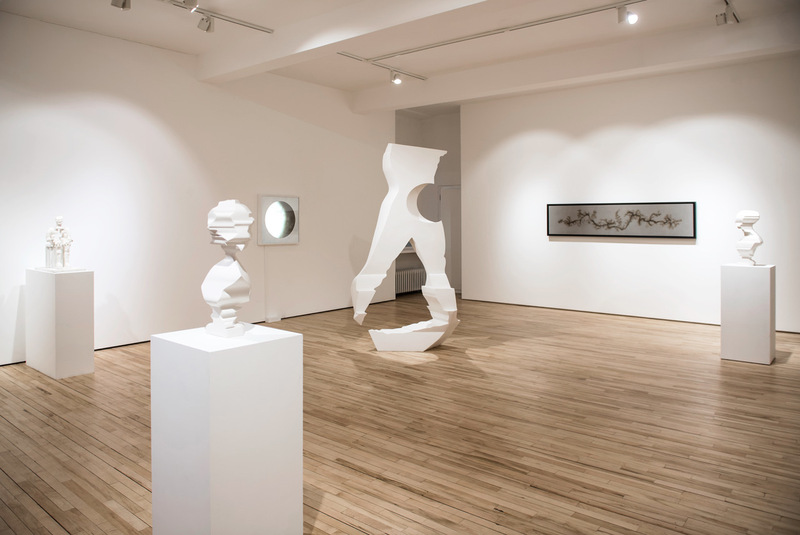 The show encompasses the work of 17 artists - from recent graduates such as Jessie Makinson and Laurence Owen, to established and acclaimed contemporary artists such as Nick Hornby, Douglas White and Sara Barker, through to major figures in 20th century European art such as David Hockney, Sir Anthony Caro, Sonia Delaunay and Sir Eduardo Paolozzi. 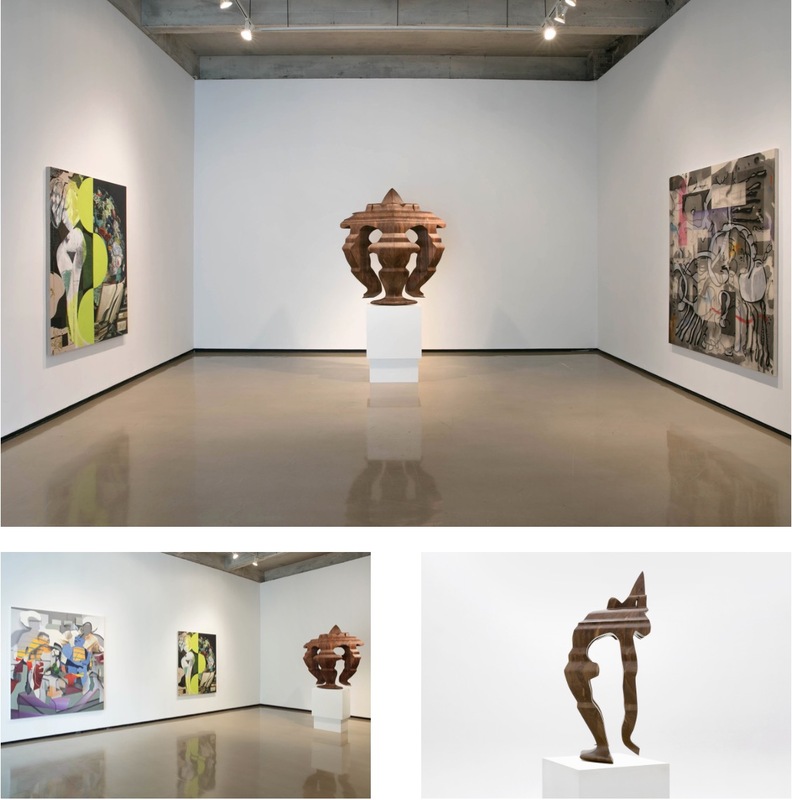 The exhibition spans painting, drawing, sculpture, studio glass, printmaking and photography - embracing the gallery’s diversity of aesthetic, and also its commitment to the development of dialogues between generations, practices and artistic endeavours in the broadest sense. 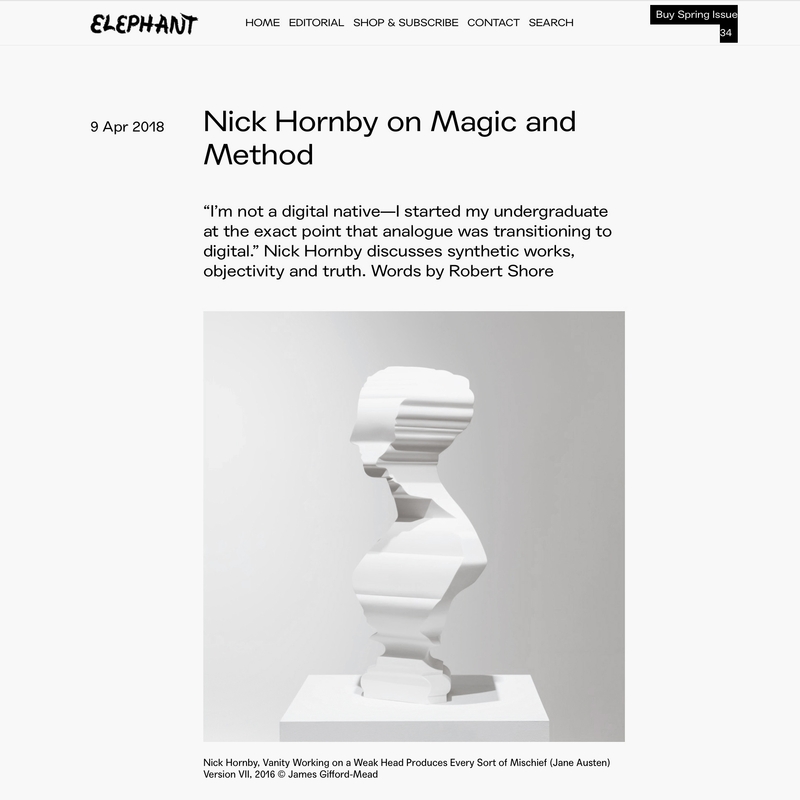 Sunday, 27th May, 10-11am on the ‘Art Hour’, Soho Radio: listen to the interview of sculptor Nick Hornby with Vassiliki Tzanakou along with music he has selected. 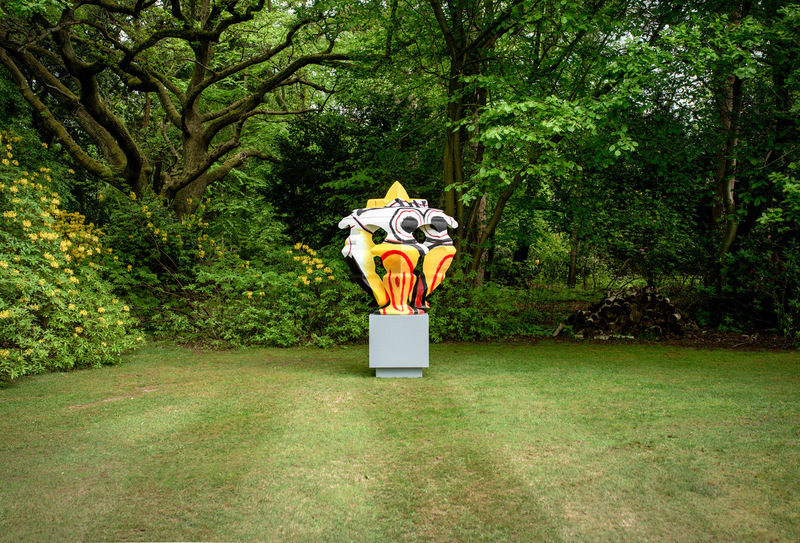 Sculptor Nick Hornby and painter Sinta Tantra met at the Slade in the early 2000s. 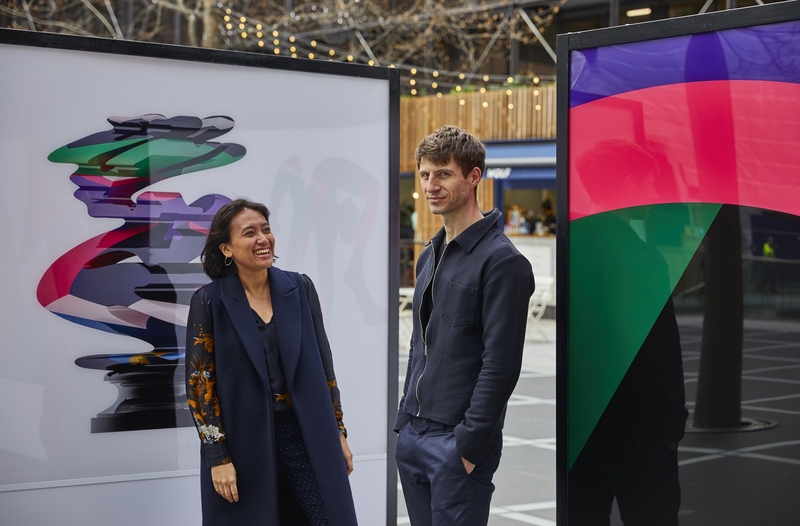 Both are best known for their site-specific work and installations in the public realm: Hornby for his sculpture commission at Glyndebourne last year, and Tantra, a British artist of Balinese descent, for her 2017 Folkestone Triennial painted building and a 330-yard painting at Canary Wharf. Occasionally they collaborate. 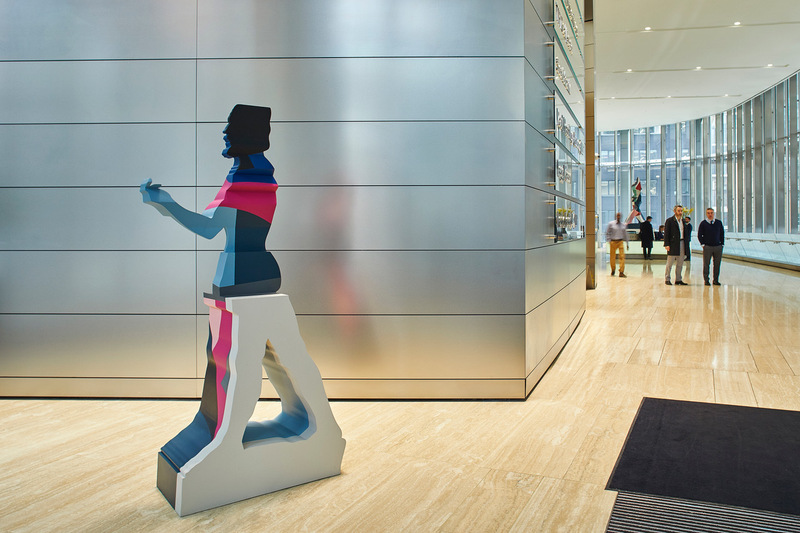 You can now follow a trail of their joint work across the City, from Finsbury Avenue Square through to 201 Bishopsgate, The Broadgate Tower and Exchange House. 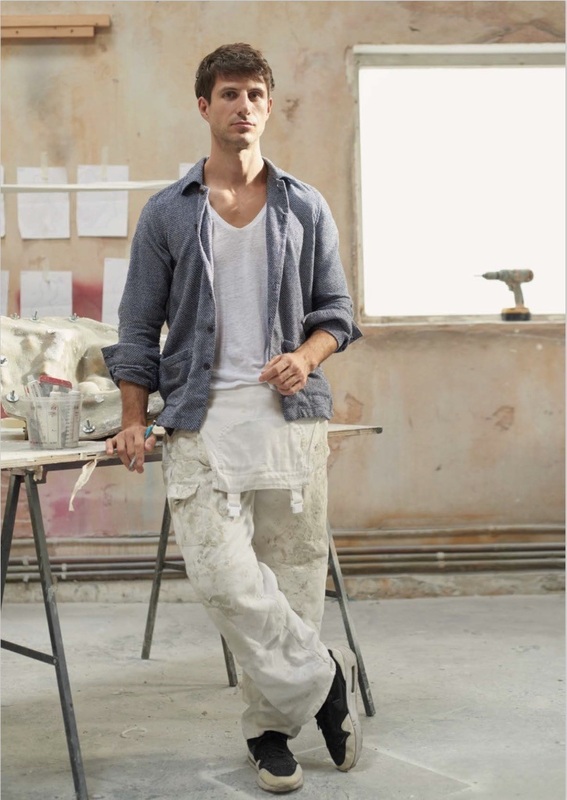 Tantra’s colours are inspired by a sort of 18th-century Farrow & Ball, while Hornby’s work references Picasso and Matisse. 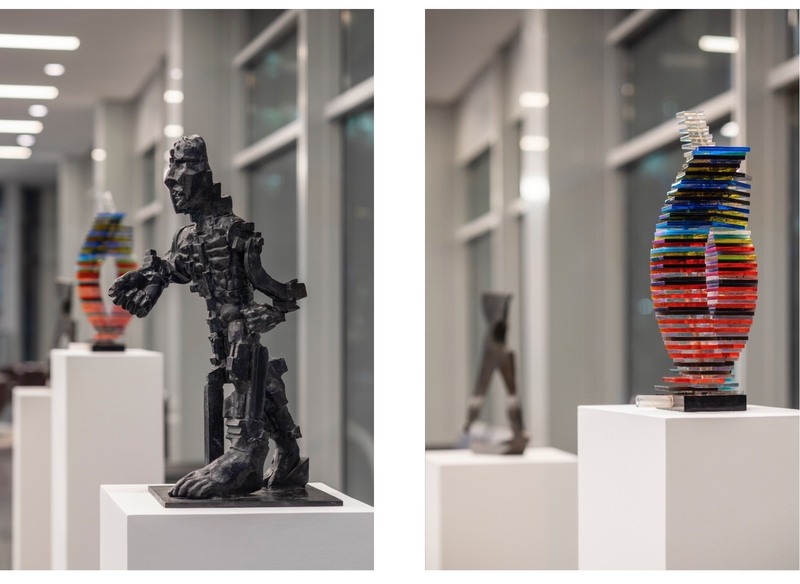 "Nick Hornby shows work at the Frestonian Gallery alongside that of Eduardo Paolozzi and Douglas White"
Pinsent Masons announces fourth Artist in Residence: Sculptor Nick Hornby International law firm Pinsent Masons has appointed sculptor Nick Hornby as its new ‘Artist in Residence’. 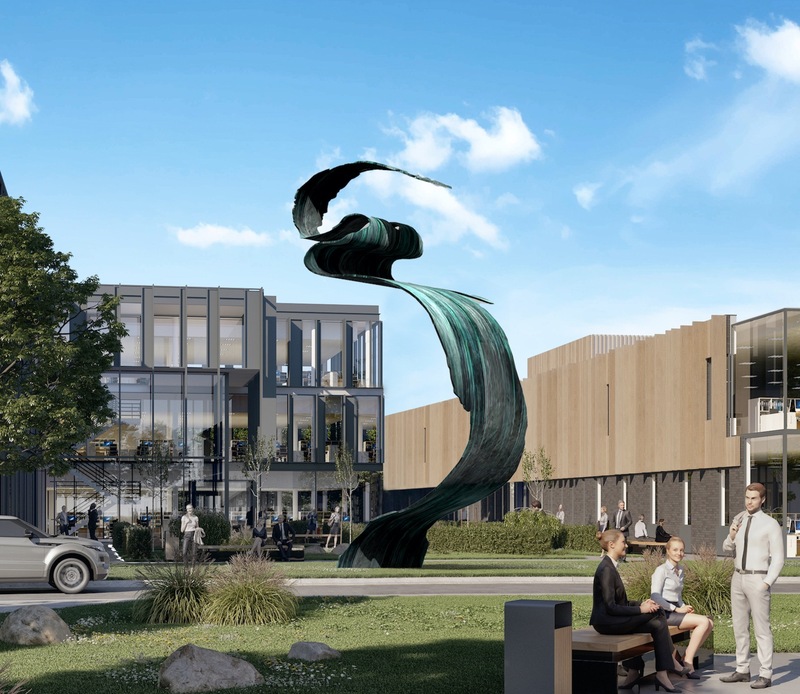 Hornby will be working on site in the firm's London headquarters, interacting with all staff and creating sculptural interventions throughout the building for the duration of 2018. This will include a series of displays in the main foyer and in client areas. 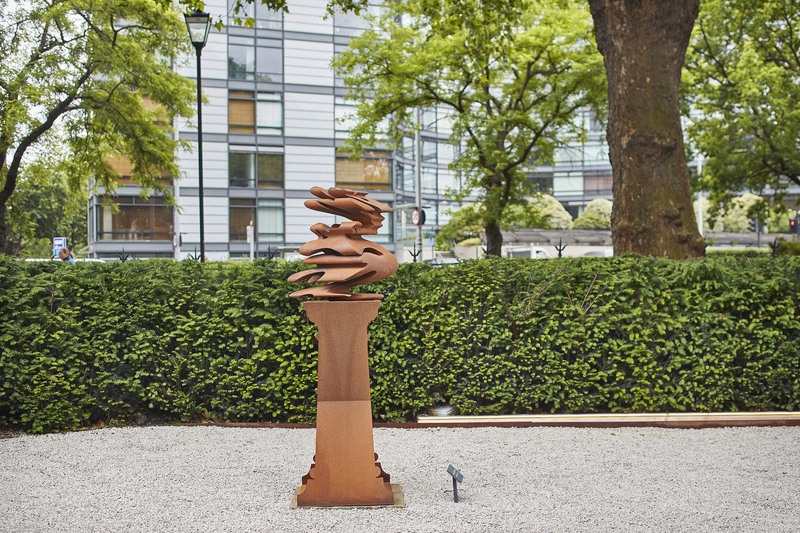 He previously displayed one of his works in the firm in 2017. 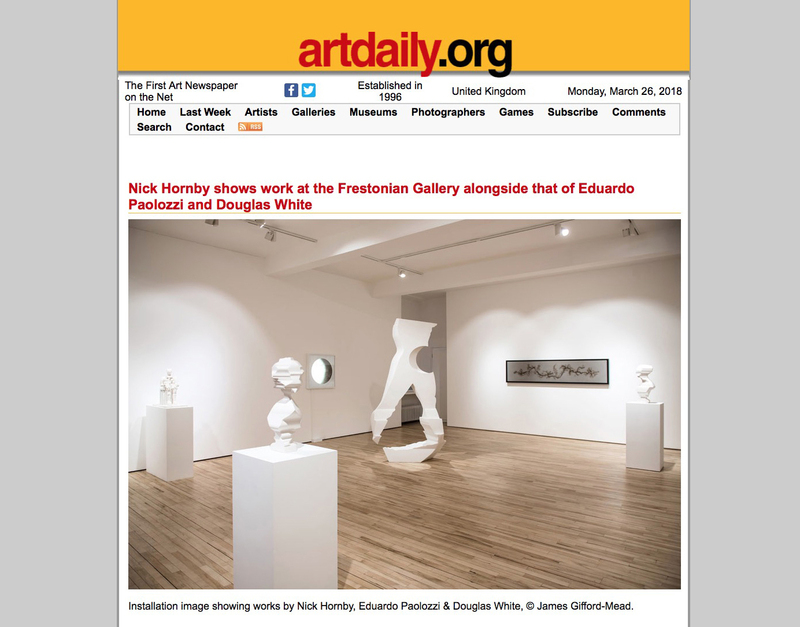 "I'm really pleased to offer our colleagues and visitors the opportunity to enjoy Nick Hornby's work once again. 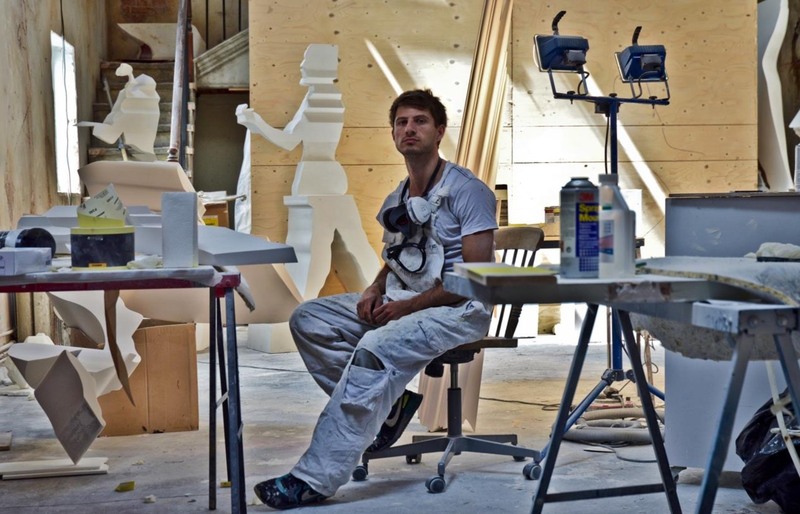 Nick immerses himself in his subjects and his sculptures will be inspired by interactions and conversations with all our staff. Nick is extremely accessible and his work was extremely popular last year. I know there will be significant interest in working with Nick again." 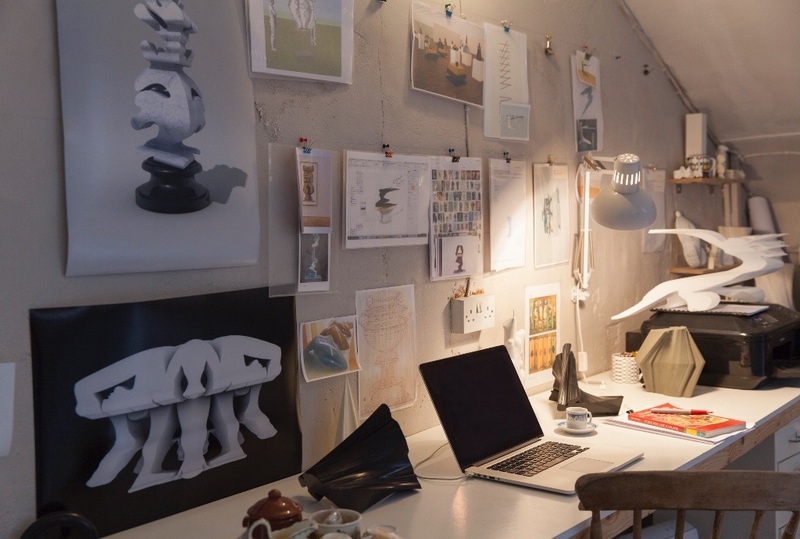 "I'm delighted to have this opportunity to work within the context of a law firm, seeing the building as both an ad-hoc studio space as well as an exhibiting opportunity - testing artworks in this non-gallery setting. I look forward to spending time talking with lawyers and learning from their vast collective knowledge – what it means to judge an artwork." PANEL TALK: "Modern Classicisms" Ruth Allen, Christopher Le Brun (chair), Nick Hornby, Minna Moore Ede and Elizabeth Prettejohn. 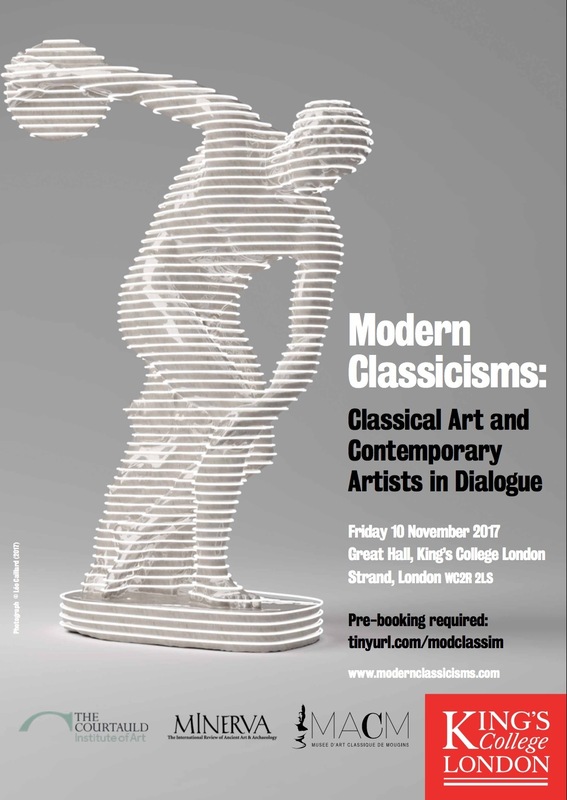 "Modern Classicisms: Classical Art and Contemporary Artists in Dialogue," Kings College. Panel: Ruth Allen, Christopher Le Brun (chair), Nick Hornby, Minna Moore Ede and Elizabeth Prettejohn. 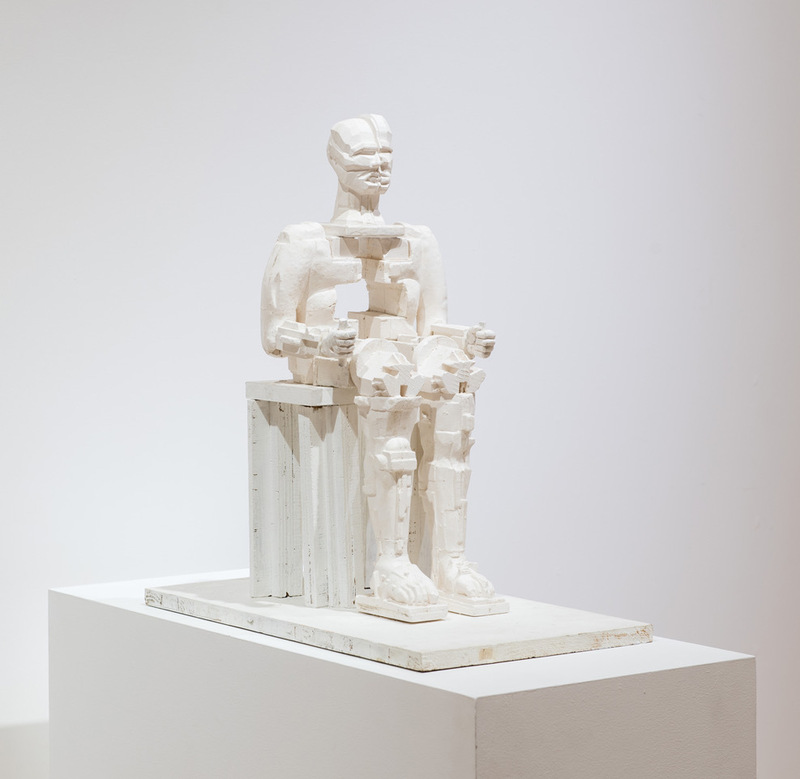 What is it about Greek and Roman art that still captivates the modern imagination? 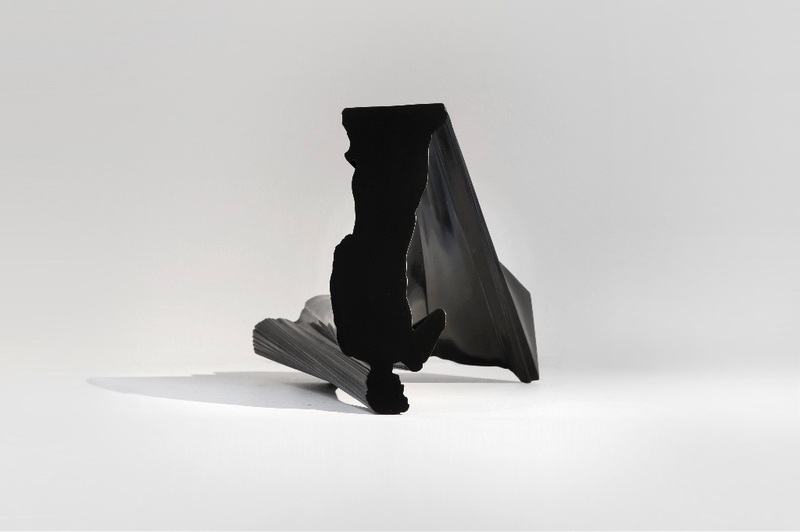 How can contemporary art help us to see the classical legacy with new eyes? And what can such modern-day responses – situated against the backdrop of others over the last two millennia – reveal about our own cultural preoccupations in the twenty-first century? The art of ancient Greece and Rome is not just a thing of the past, it also exists in the present day – whether as ideal, antitype or point of departure. 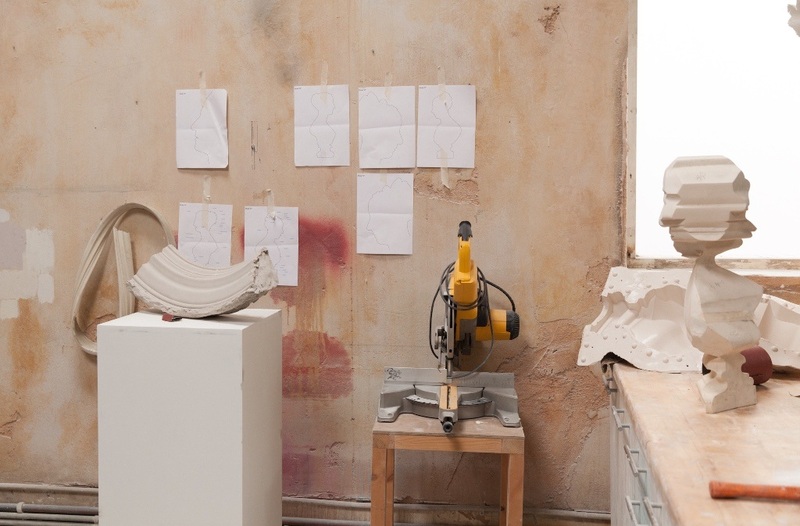 During the 2017–2018 academic year, King’s College London is hosting a range of events exploring contemporary responses to classical visual traditions: these will include an exhibition at Bush House in in March/April 2018, organised in collaboration with the Musée d’Art Classique de Mougins, and designed to coincide with our co-hosting of the AAH Annual Conference. Our opening Modern Classicisms workshop on 10th November sets out to explore the contemporary relevance of classical visual traditions: by bringing together art historians, collectors, critics and artists, we aim to examine what the classical artistic legacy means from the vantage-point of contemporary artistic practice. 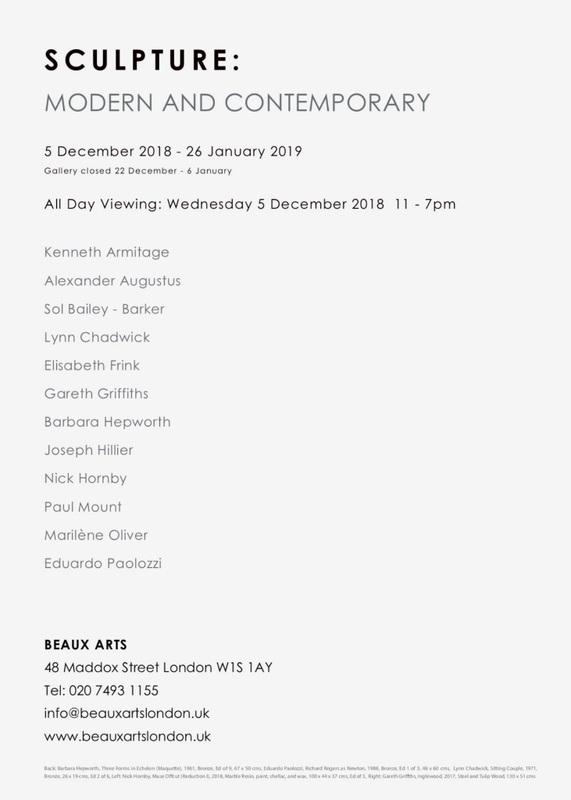 Confirmed artists, speakers and respondents include: Dalya Alberge, Ruth Allen, Tiphaine Besnard, Bruce Boucher, James Cahill, Léo Caillard, Michael Craig-Martin, Matthew Darbyshire, Charlotte Higgins, Brooke Holmes, Nick Hornby, Jessica Hughes, Patrick Kelley, Polina Kosmadaki, Christopher Le Brun, Lisa Le Feuvre, Christian Levett, Isabel Lewis, Simon Martin, Robin Osborne, Christodoulos Panayiotou, Elizabeth Prettejohn, Marc Quinn, Mary Reid Kelley, Alexandre Singh, Michael Squire, Caroline Vout and Sarah Wilson. 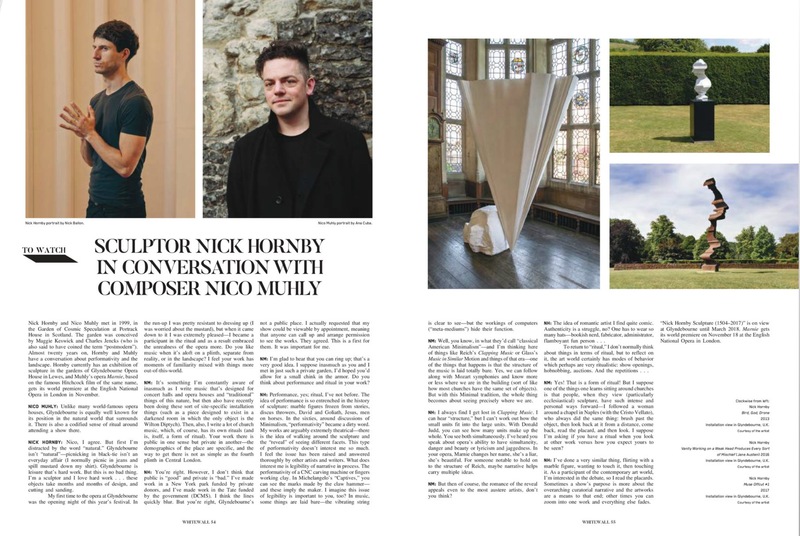 Nick Hornby and Nico Muhly met in 1999, in the Garden of Cosmic Speculation at Portrack House in Scotland. The garden was conceived by Maggie Keswick and Charles Jencks (who are also rumored to have coined the term “postmodern”). Almost twenty years on, Hornby and Muhly have a conversation about performativity and the landscape. 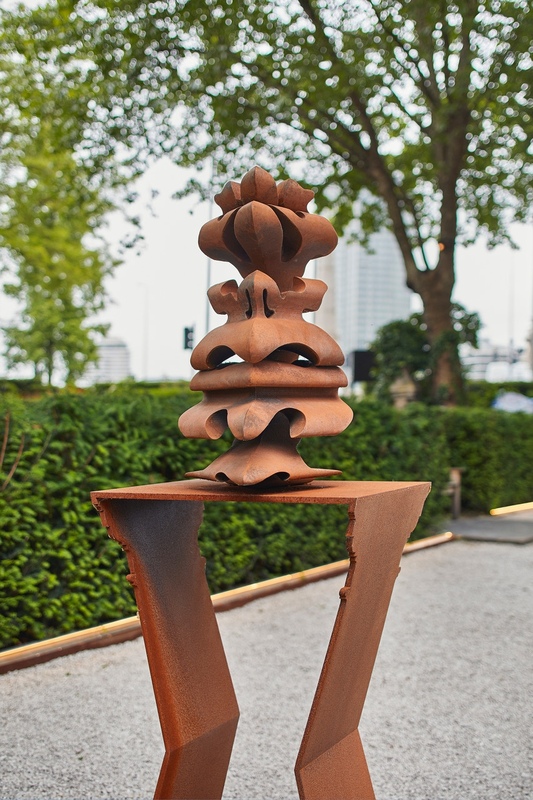 Hornby currently has an exhibition of sculpture in the gardens of Glyndebourne Opera House in Lewes, and Muhly’s Marnie operan, based on the famous Hitchcock film of the same name, gets its world premiere at the English National Opera in London in November. NICK HORNBY: Nico, I agree. But first I’m distracted by the word “natural.” Glyndebourne isn’t “natural”—picnicking in black-tie isn’t an everyday affair (I normally picnic in jeans and spill ketchup down my shirt). Glyndebourne is leisure that’s hard work. But this is no bad thing. I’m a sculptor and I love hard work . . . these objects take months and months of design, and cutting and sanding. 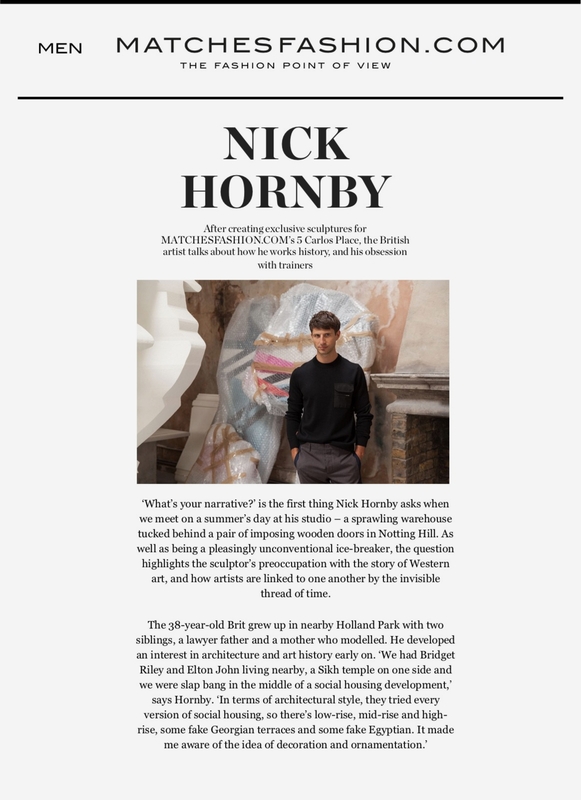 Young artist Nick Hornby reconsiders master works to create contemporary sculptures on a grand scale. Given the amount of art history infused in the sculptor’s work, it’s surprising to hear him talk about the venerated Renaissance work in these terms. 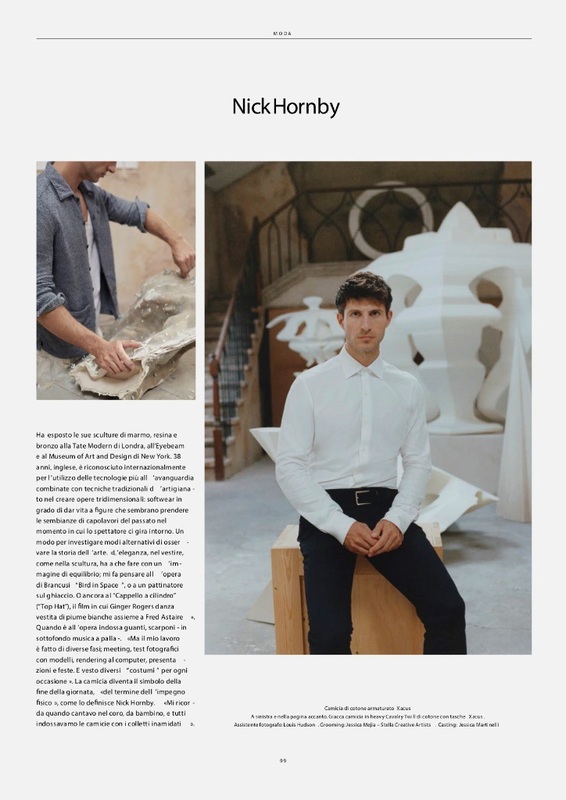 His solo exhibition on the grounds of the Glyndebourne opera house is rife with interpretations of Rodin and Brancusi, and, of course, nods to Michelangelo’s heroic David. In fact, the show, which runs until next spring, is called “Sculpture (1504 – 2017)”—1504 being the year David was completed. The works, which are placed inside and out of the opera house, are grand in scale and scope. 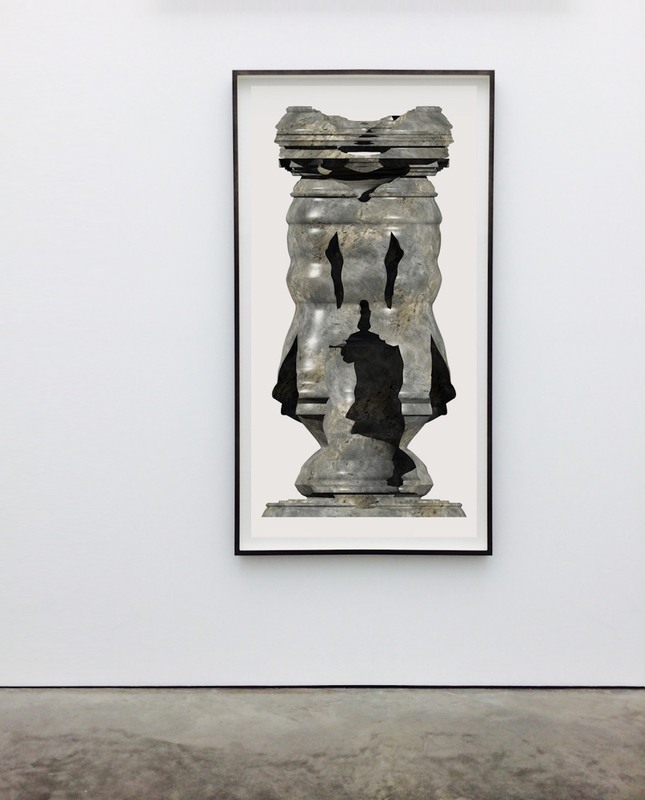 One outdoor piece, for instance, is a totemic bronze that reveals Rodin’s The Age of Bronze (1875) figure from one angle and a Brancusian abstraction from another. Another, God Bird Drone, reveals the silhouette of David from a single point if you were to fly above it. 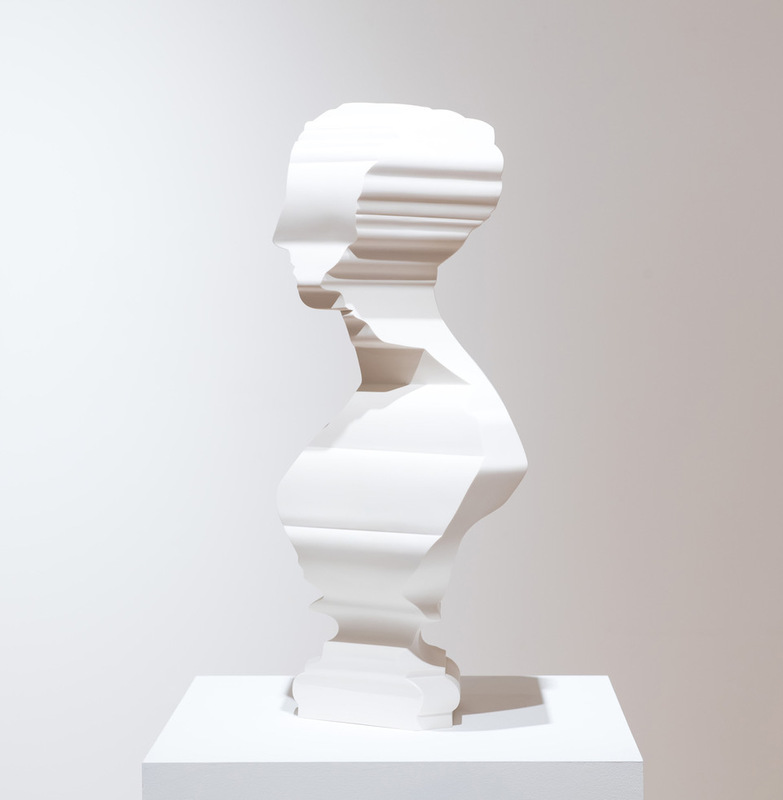 And then there’s the work that recently appeared in a group show called “The Curators’ Eggs” at Paul Kasmin Gallery this summer, which is part of a series derived from Matisse’s cutouts, which Hornby hopes will materialize into a stand-alone show. Still, Hornby maintains a healthy skepticism about the historical narrative of the works he’s drawing from. And that suspicion comes from firsthand experience. 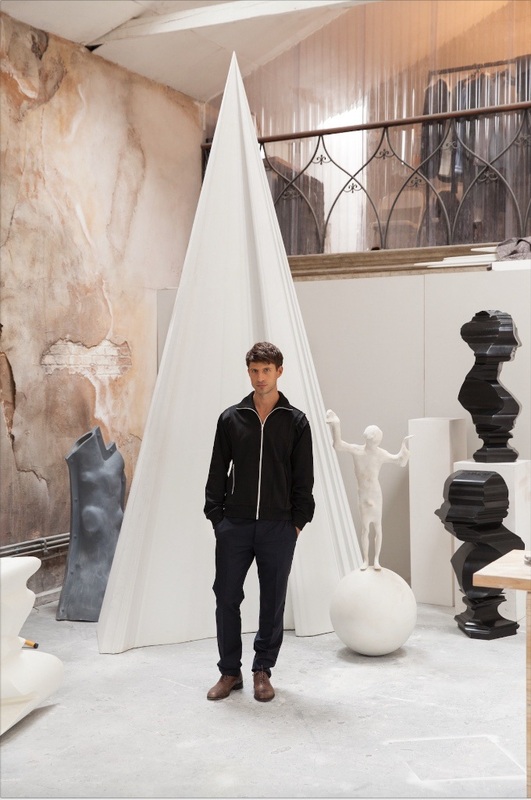 When he was a younger artist, Hornby spent long hours drawing in the Victoria & Albert Museum’s Cast Courts—a room filled with plaster versions of historical sculptures. 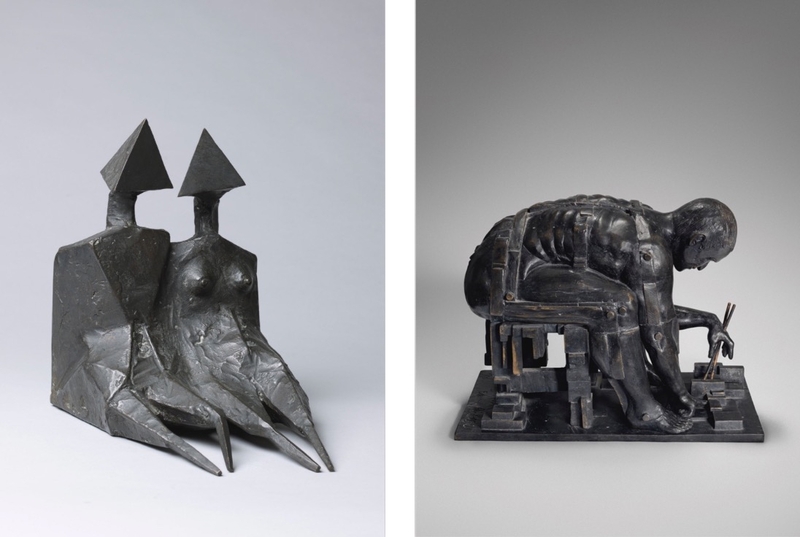 He was eventually shortlisted for a commission at the V&A because of his reputation for taking various sculptures and putting them together. Though he didn’t get the commission, it nevertheless solidified his line of inquiry into historical coalescence. But it didn’t salve his frustration with the entire historical through-line. 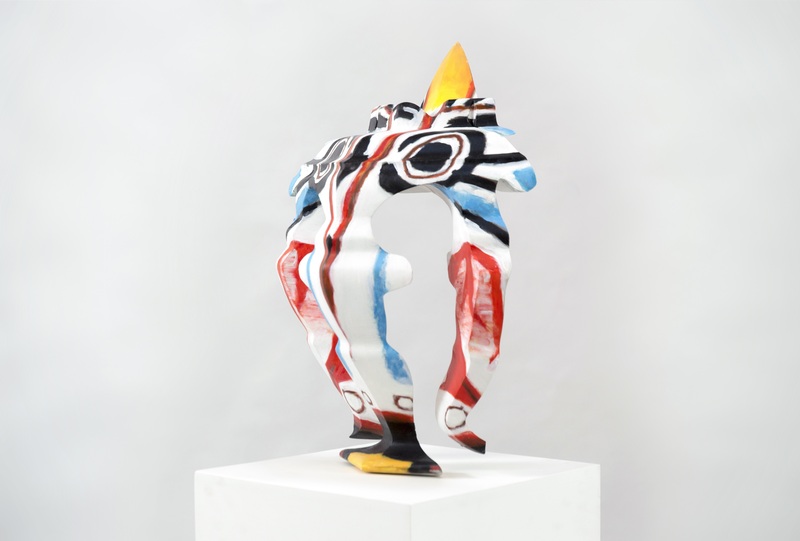 In fact, seeing famous moments boiled down to one or two people and artworks, such as Picasso with Cubism or Pollock with Abstract Expressionism, has reinforced Hornby’s uneasiness about art history. Talk 17:55-18:40 on Sunday Aug 6. 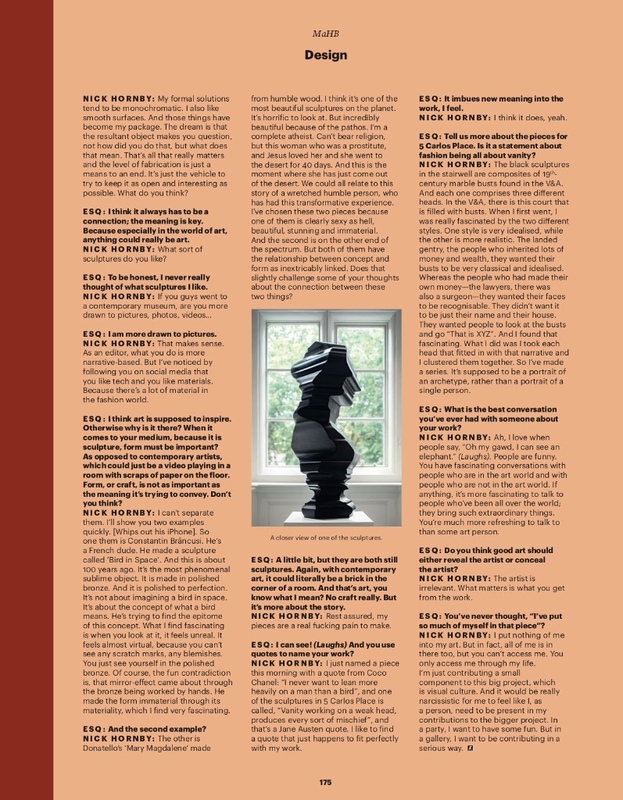 Clare Barlow, curator at Tate Britain will be joined by performer Tim Redfern, artist Nick Hornby and activist Paris Lees to discuss the diverse connections between sexuality, gender identity and art to uncover a past which is richer and stranger than you might think. 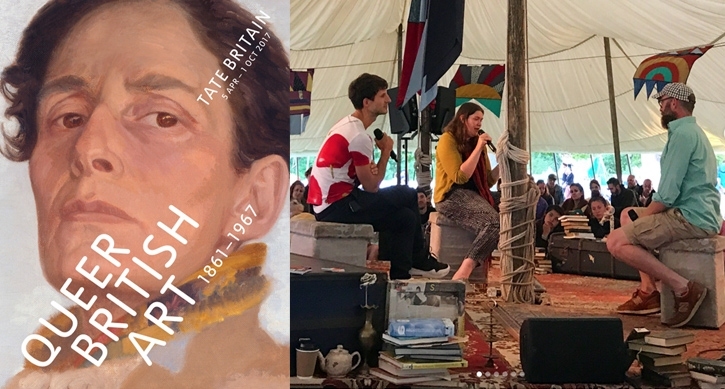 Clare Barlow is curating the exhibition ‘Queer British Art, 1861-1967’ at Tate Britain (until 1 October 2017) where she is Assistant Curator, British Art 1750-1830. Clare grew up in the 1980s and came out as lesbian at the age of 25. She completed her PhD at King’s College London and worked at the National Portrait Gallery before joining Tate Britain. Her research focuses on art, gender and sexuality and she has appeared in arts documentaries for the BBC and Channel 4.